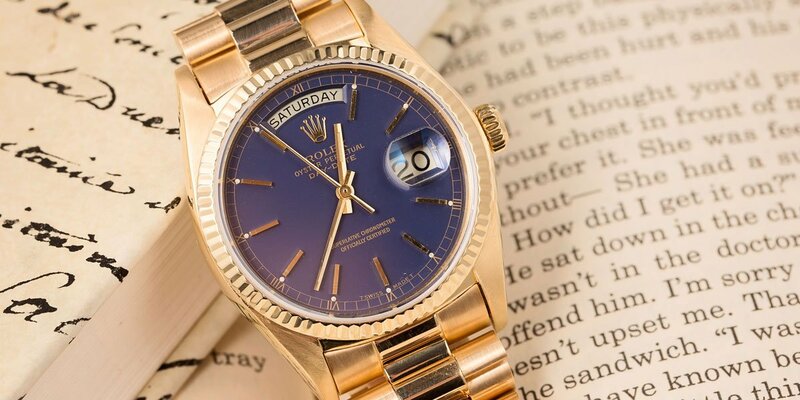 One of the most popular pre-owned watches on the market today is the Rolex President Day-Date. Available in a variety of feature sets including case size, bracelet options, precious metals, and dial colors, it isn’t hard to find the perfect reference to match your style. Today, we will focus on one reference, in particular, the sophisticated President Day-Date 18038. Below are a 5 reasons why we think you should add this vintage gem to your watch box. The Day-Date 18038 is a vintage gem that belongs in any watch collection. 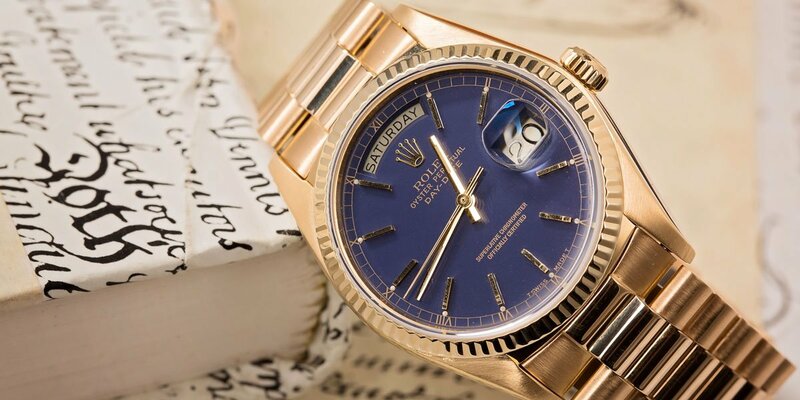 Many seasoned luxury watch collectors will tell you that the Rolex President Day-Date 18038 is the smartest choice when it comes to value. The case and bracelet are constructed out of yellow gold, which may continue to rise in price for the obvious reason that yellow gold is a precious metal. 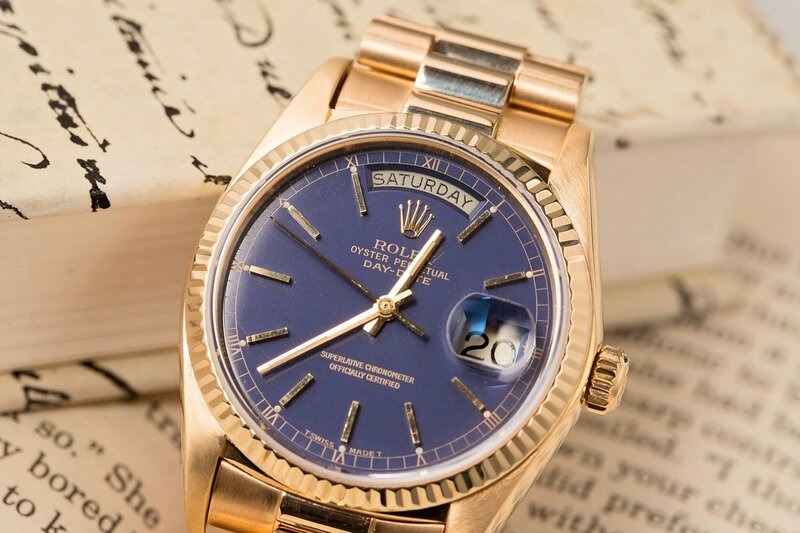 Being an older model, however, the President Day-Date 18038 comes in at more affordable price than newer references that are also constructed out of gold. The Day-Date 18038 is a killer watch, perfect for any occasion when you want to dress up. The Day-Date 18038 offers modern style without sacrificing its vintage appeal. The case measures a traditional 36mm, which many collectors may argue fits slightly larger on the wrist than older vintage Day-Date references. This phenomenon may be caused by the upgrade from the Pie-Pan dial that was commonly featured on older Day-Date watches. You can see the details of the Day-Date 18038 in this image. A Rolex Calibre 3055 perpetual movement is the heartbeat of the Day-Date ref 18038. A fifth-generation Day-Date movement, the calibre 3055 includes many modern luxuries, such as 28,800 bph and the addition of a Quickset function. The Quickset function allows the wearer to adjust the date aperture on the dial with a quick twist of the crown. Older, non-Quickset movements require the crown to be wound a full 24 hours to change the date. 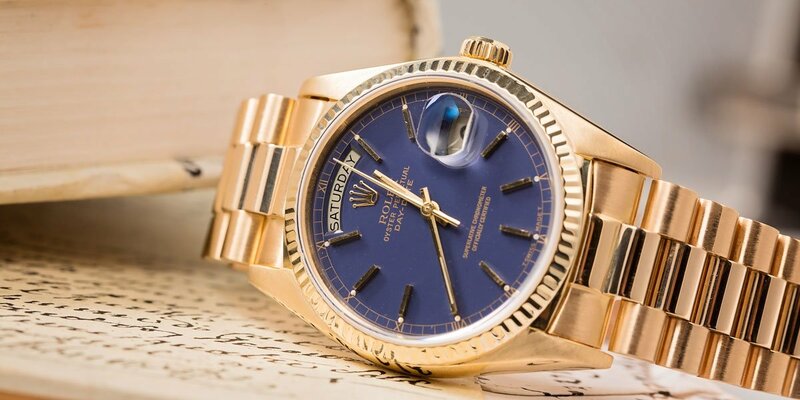 Many Rolex aficionados believe that newer models are a better option because they boast a more convenient Double Quickset function, however, that brings us back to our top reason for purchasing the Day-Date 18038, which is its excellent value. The Day-Date is typically seen as a watch that is exclusive. Many older Day-Date references can be found with a President bracelet secured by a Fliplock clasp. While there is nothing wrong with the Fliplock clasp per se, Rolex collectors in the known prefer the style and fit of the concealed Crownclasp. Virtually indistinguishable from the President bracelet save for the iconic crown, the concealed Crownclasp lends itself to a seamless profile on the wrist. 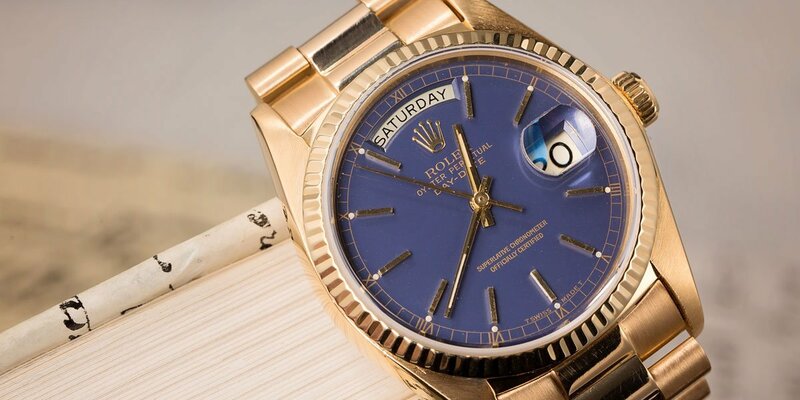 When Rolex debuted the Day-Date in 1956, it was the first timepiece to offer the date as well as the day spelled out in full on its dial. It wasn’t until after a Day-Date was gifted to President Dwight D. Eisenhower that it earned its now iconic nickname, “The President”. While the nickname “President” is commonly associated with the entire watch, it refers solely to the three-link bracelet that is often paired with the Day-Date. This incredible history is just one reason among many to consider adding a Rolex President Day-Date reference 18038 to your collection.